Australian shipbuilder Austal will recruit and employ more than 100 new apprentices in the next seven months, as it increases its workforce to build new defence and commercial vessels for export and domestic customers. The new positions, which will be in fabrication, marine fitting and cabinet making, will triple the number of apprenticeships currently offered by Austal. The announcement comes after Prime Minister Malcolm Turnbull and Western Australian Premier Colin Barnett completed a short sea trial on board the ADV Cape Fourcroy, a Cape Class vessel Austal is building for the Royal Australia Navy. Austal CEO David Singleton said the creation of the new apprentice positions at the company's Henderson shipyards are something graduates should consider for their careers. "I encourage girls and boys who are about to leave school and enter the workforce to consider a career in naval shipbuilding," Singleton said. "Our staff, whether they design or build our high performance vessels, are the backbone of Austal’s operations and it is important that we have highly skilled, young, energetic staff members coming through our ranks to ensure we retain that position in the future. 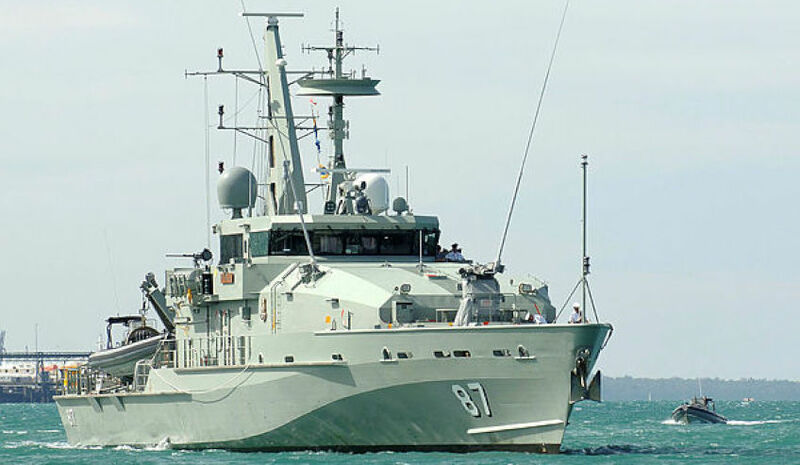 "The Pacific Patrol Boat Replacement program we are delivering for the Commonwealth of Australia, providing 19 steel vessels to 12 Pacific Island nations, will commence shortly. That will provide opportunities for the first wave of apprenticeships in the coming months." The announcement follows the federal government announcing a $100 million investment for WA naval infrastructure. Singleton said the federal government's continuous naval shipbuilding strategy was integral to offering the apprenticeships, as it created sustainable employment. "Until now we had to be responsive in our workforce planning to one-off contract wins and builds," he said. "Now, with the Pacific Patrol Boat Replacement contract commencing, and as we bid for the Commonwealth’s Offshore Patrol Vessel program, there will be greater certainty for our workforce planning and therefore greater certainty for our employees." The announcement comes as a much needed win for the industry, with many key players fearing the so-called 'valley of death' in the shipbuilding industry would continue well into the future after more than 8,000 jobs were lost from ASC between November 2014 and January 2016.